Check out our December Paper Pumpkin …. Paper Pumpkin’s Flora & Flutter kit is bringing scenic spring colors and feelings to December! Take a break from winter and enjoy a bright spring afternoon putting this fun project together. Watch this instruction video for step-by-step instructions to help you out! 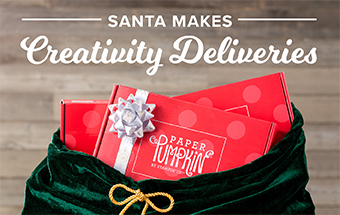 Christmas is the perfect time to give the gift of creativity … and nothing makes that simpler than Paper Pumpkin!